Horse-drawn trams: 18 May 1872 - 1897. Urban electric trams: 20 May 1896 - today. 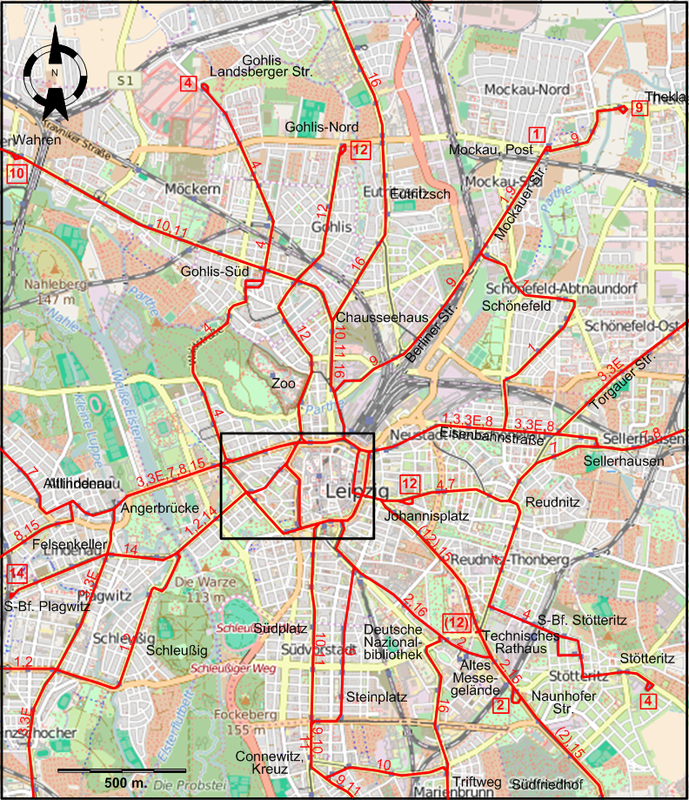 There is a museum devoted to the history of trams in Leipzig called the Historische Straßenbahnhof Leipzig-Möckern. It has a large number of preserved tramcars, which are occasionally run on city streets . The museum is in Möckern, to the northwest of the city centre. Hendlmeier, W. Handbuch der deutschen Straßenbahngeschichte - Erster Band: Text und Abbildungen. München: Im Selbstverlag, 1981. Plang, H.J. 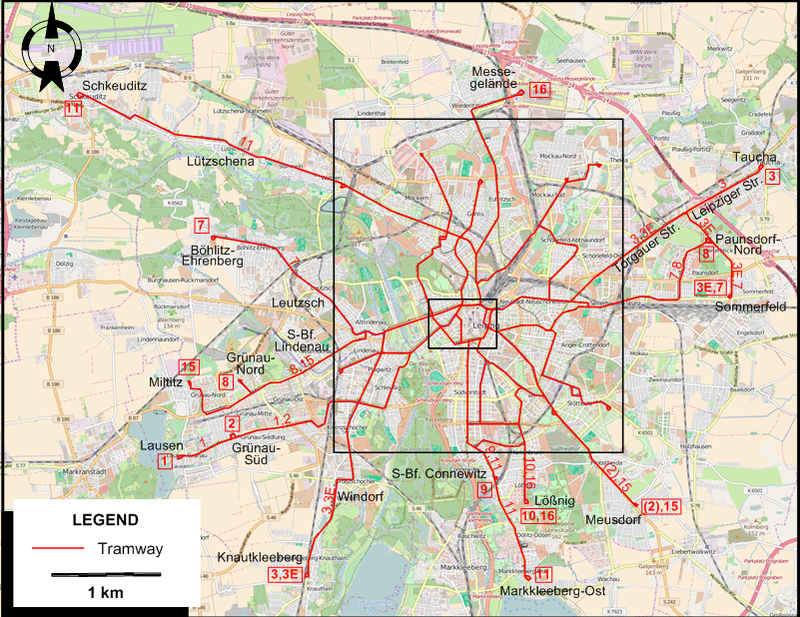 "The tramways of Leipzig" Modern Tramway & Light Rail Review. Oct. 1964 (27: 322), p.333-344. 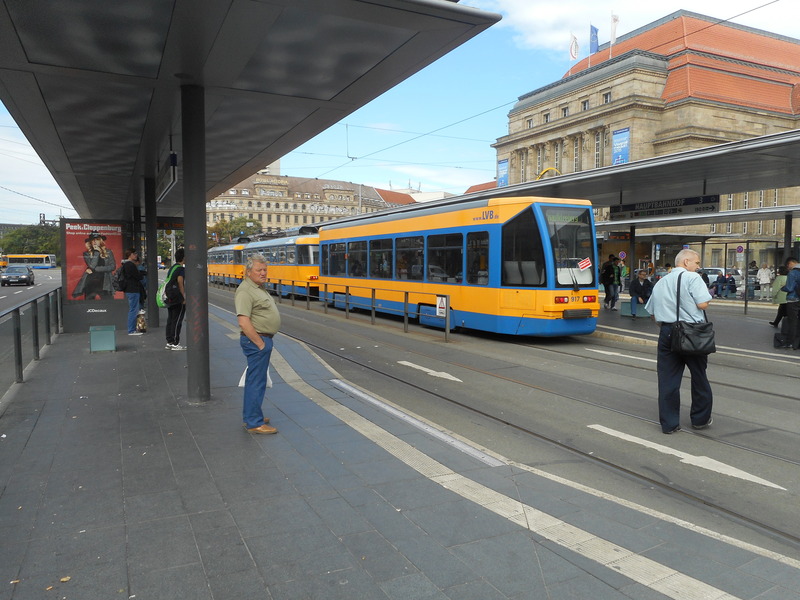 Pulling, N. "Systems Factfile - No.61: Leipzig, Germany" Tramways & Urban Transit. Oct. 2012 (75: 898), p.383-386. 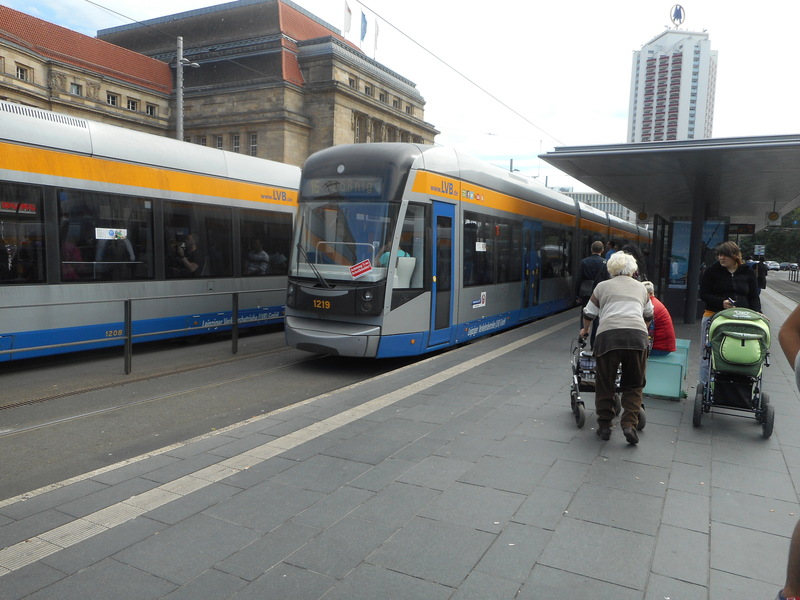 Russell, M.J. "DDR update - Part 2: Central area systems" Modern Tramway & Light Rail Transit. Apr. 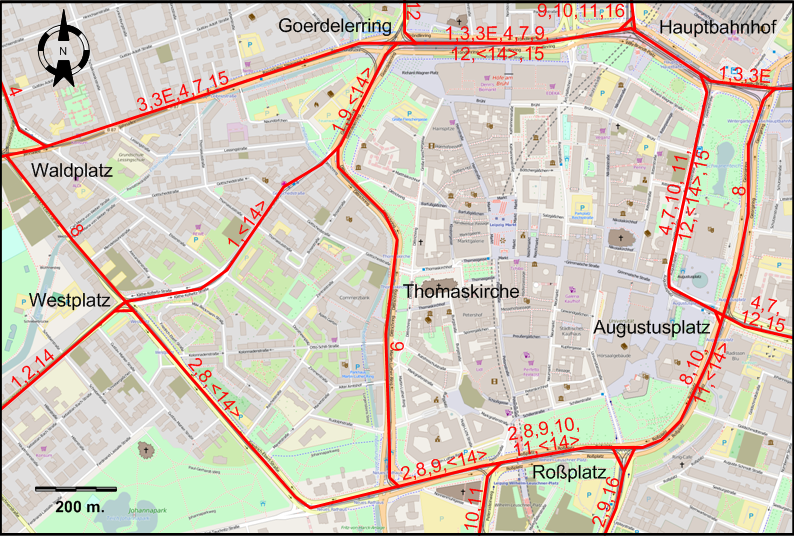 1989 (52: 616), p.14-125, 129. Wansbeek, C.J. 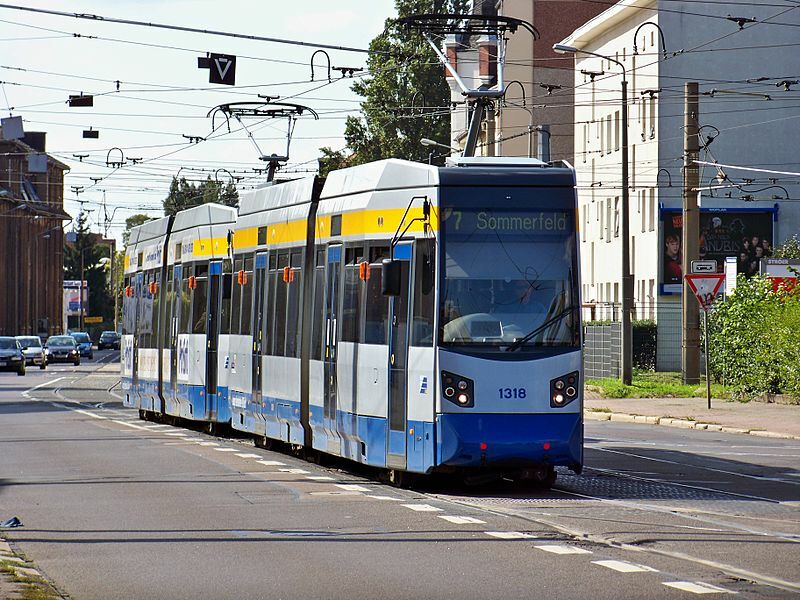 "Leipzig: Trams are the dominant force" Tramways & Urban Transit. Nov. 2003 (66: 791), p.416-419.